Wave top office screens offer are a unique way of creating stylish dividers within your office space while also making the environment more practical. Here at Rap Industries, we manufacture a range of different wave top screens to help address issues such as privacy and distractions in open plan environments. The wave top design is available with office screens as well as desk dividers. Our wave top office screens have been designed with the specific purpose of enhancing open indoor environments such as offices and classrooms. 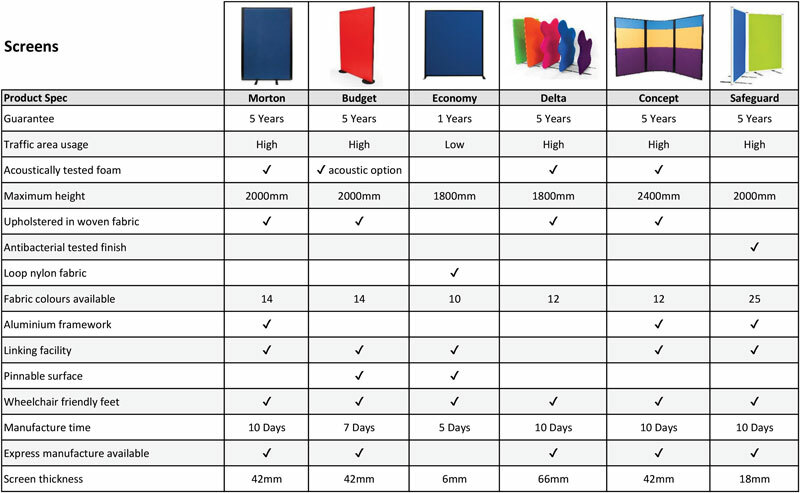 The products we manufacture feature customisations such as pinnable boards and acoustic foam. In addition to this, the wave top screens can also be personalised with different fabric colours and the choice of different frame colours. We design and manufacture all the office screens here at Rap Industries. We are based in Peterborough, Cambridgeshire and our expertise in office furniture stretches back over 40 years. Using this experience, we have honed the design of our screens to ensure that our clients have stylish but also productive work spaces. As a seal of approval, we include a manufacturer's guarantee with all of the wave top partitions that we produce. All the wave top screens are designed with a strong and sturdy core which ensures they are built to last for many years to come. Because of the intuitive design, the panel is also remarkably lightweight, which ensures they can also be moved easily when required. The next step is to add either pinnable boards or acoustic foam; whichever is best suited to your environment. We then cover the office partitions with a high-quality fabric which you can customise by picking out the colour you want. If you opt for an office screen, then stabilising feet are including to provide additional support once set up. 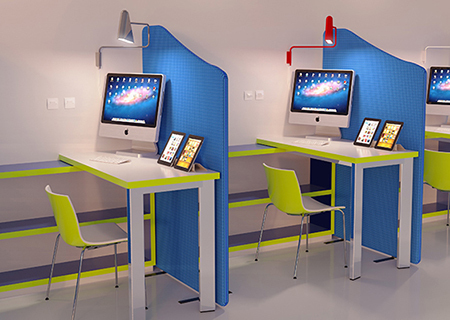 Otherwise, should you choose desk dividers, these are equipped with clamps which safely secure them to the desk. The only step required then is to add the linking strips to connect the wave top office screens together. You can find further information for each product on their respective pages. There you can find more detailed advice on how they are manufactured and the specific customisation options which are available. Each piece can be designed individually to equip your office with a unique design. If this is something that you would look more information for, then please get in touch by calling 01733 394941 or by sending an e-mail to [email protected].